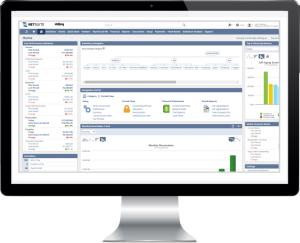 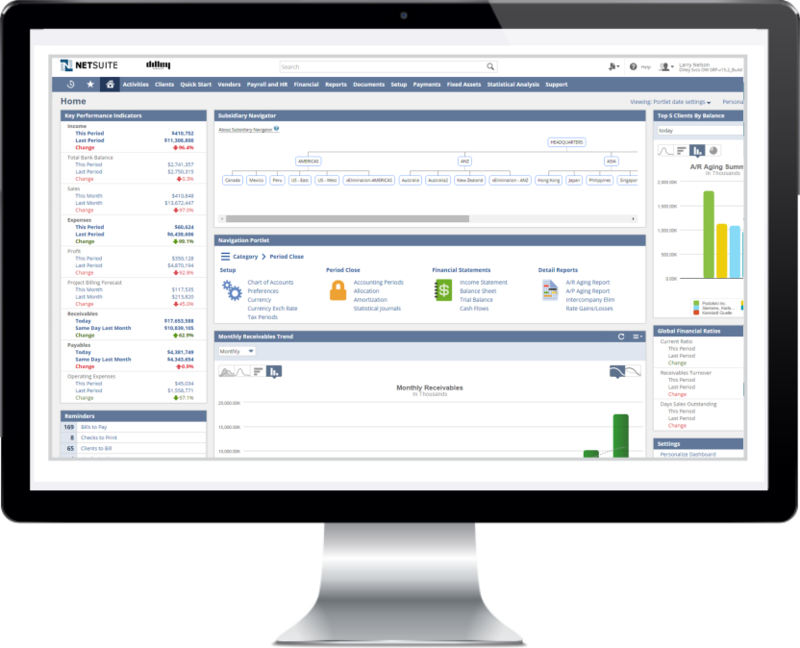 Used by thousands or organizations worldwide, NetSuite’s financial management solution expedites daily financial transactions, accelerates the financial close and ensures compliance. 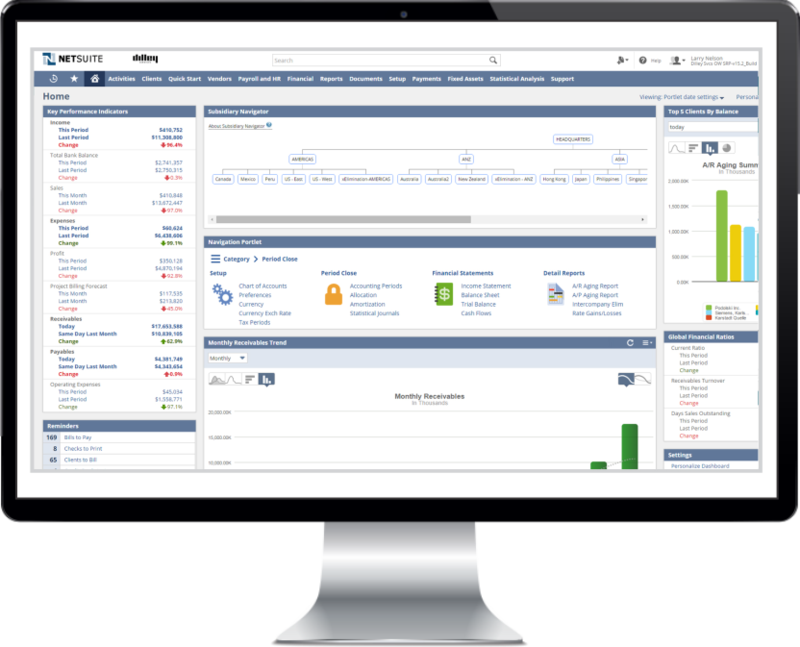 Oracle NetSuite PBCS uses a powerful calculation engine which can accommodate a wide range of business logic with fast in-memory aggregation and instant financial planning analysis and reporting. 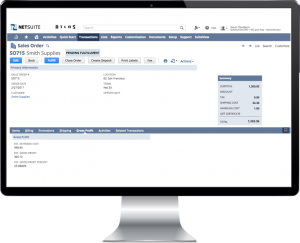 NetSuite’s order management capabilities help streamline your order processing by eliminating manual bottlenecks, preventing errors and establishing a smooth flow from sales quote to order fulfillment ensuring timely invoicing and payment. NetSuite’s order and billing management capabilities integrate your sales, finance and fulfillment teams—improving quote accuracy, eliminating billing errors, strengthening revenue recognition processes and driving fulfillment accuracy and efficiency. 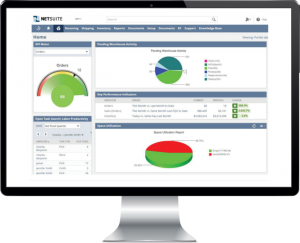 NetSuite’s production management capabilities enable organizations to run their manufacturing operations efficiently. From sales order to work order processing, routing and scheduling, order fulfillment and product costing, NetSuite’s manufacturing solution provides real-time visibility into every step of the production process to help you make better-informed decisions. Get your products to market quickly and cost-effectively anywhere in the world with an end-to-end manufacturing software solution designed to run your entire business. Virtually every company that manages a modern supply chain will be doing so across multiple continents and time zones, but how do you do that with a single application? NetSuite’s manufacturing, distribution and supply chain management capabilities are all built on the premise that the physical location that a product is made or stored in should be irrelevant to your decision making process—it may add to your lead time, but we let you manage all with ease. 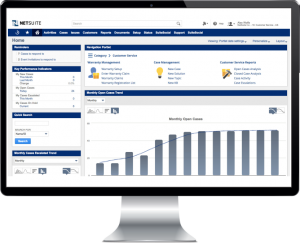 Smart businesses understand that controlling inventory, fulfillment and shipping costs is essential for success. Companies are constantly striving to improve their warehouse operations by increasing agility, visibility and labor efficiency. 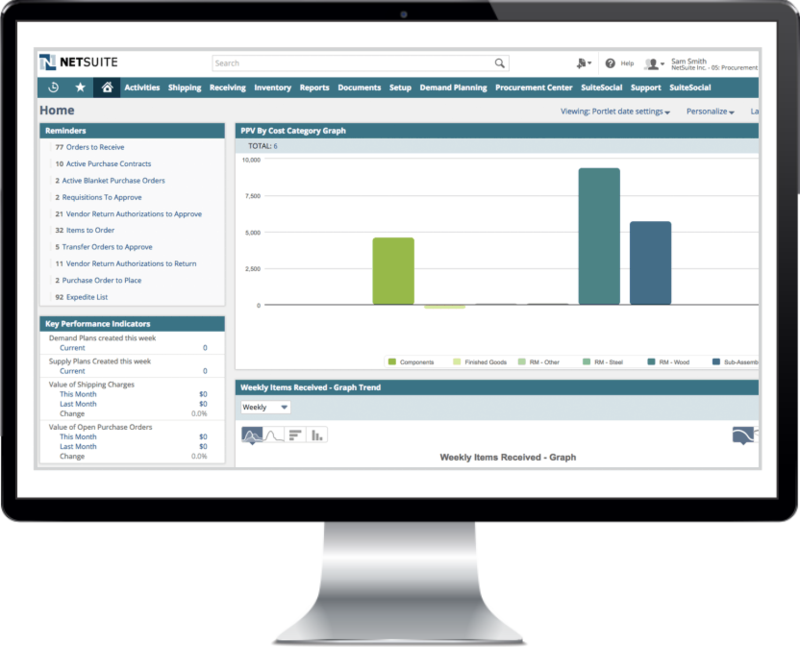 This requires use of best practices combined with a sophisticated Warehouse Management System (WMS) that optimally manages all resources within the distribution operations while minimizing the total cost of operation or ownership (TCO). Purchasing can be a time-consuming and inefficient ordeal, especially when requests for goods and services have to be processed manually using a combination of phone calls, emails, paper catalogs and faxes.